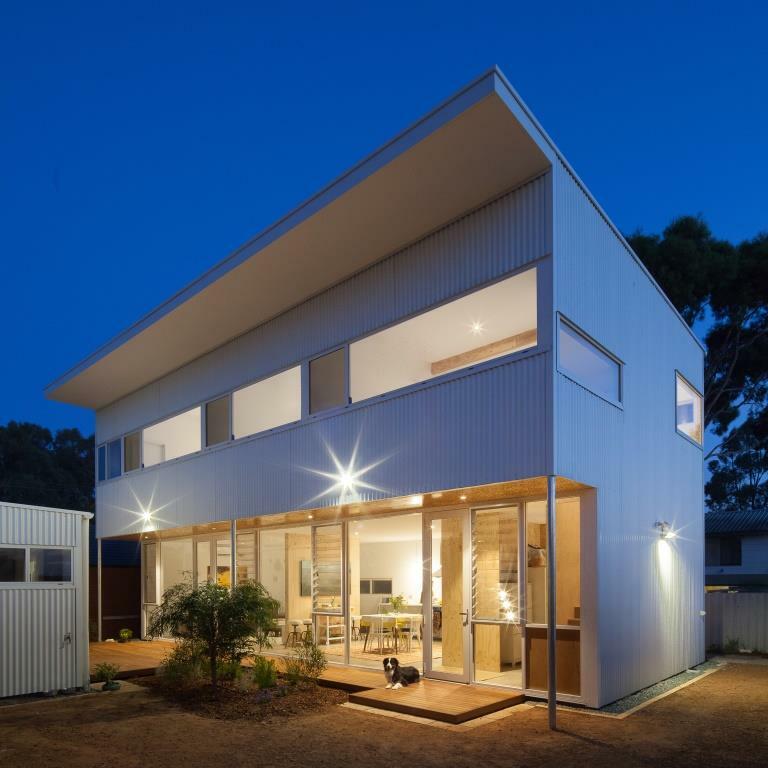 Erpingham is a prototype house located in Hamilton Hill, 10 minutes south of the port city of Fremantle, Western Australia. Designed by MSG Architecture, the brief was to create a compact, sustainable and easily replicable house for Perth’s changing suburban environment. 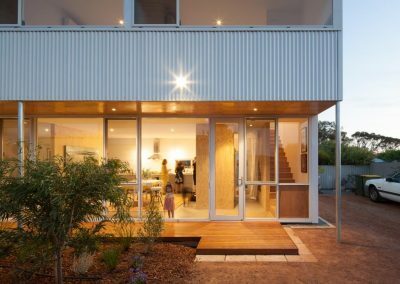 MSG Architecture in collaboration with Eco Fusion Buildings have therefore incorporated common materials, lightweight construction and passive solar design principals to minimise the short and long term costs of the building. 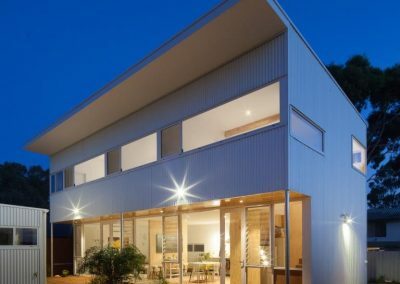 Although challenging at times, the architects were quite hands on with some of the work which helped fit the brief to build a house with a price point that would be within the reach of most people. 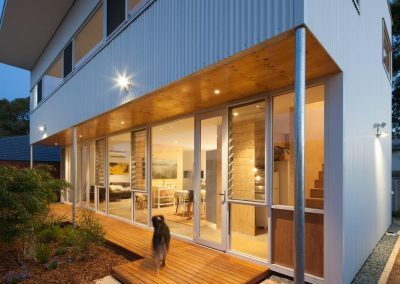 This makes the house a financial and environmentally sustainable alternative to the project home market. 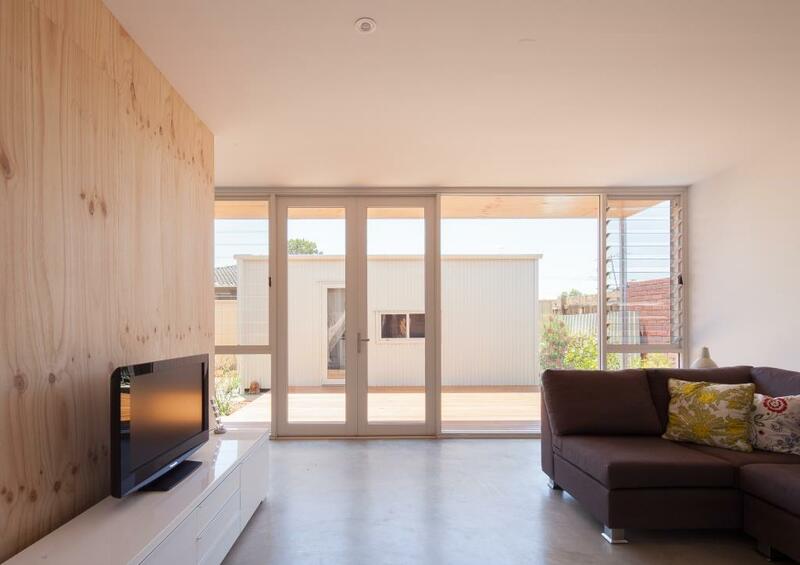 The home consists of three bedrooms, two bathrooms that sit over a semi-open plan kitchen, living and dining space. 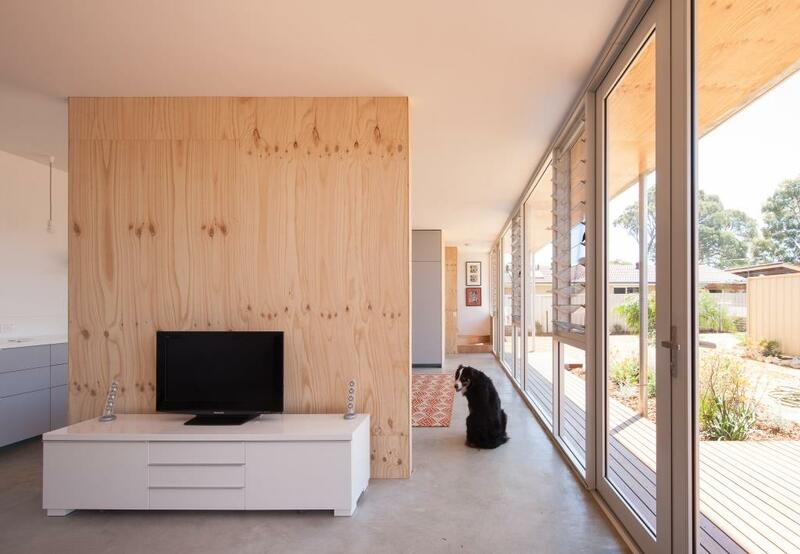 The corridors, walls and nooks are configured to absorb storage and laundry requirements. A separate studio sits opposite the deck for work or play. 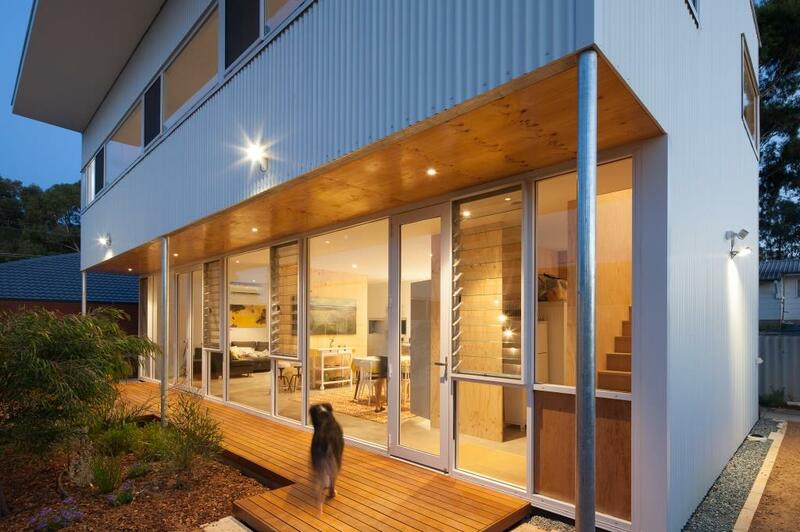 As a result, the efficient planning of the home has provided generous living and sleeping areas without wasted space. When designing the home, the team struck a balance of comfort and leanness in order to appeal to a wider market. Some of the passive solar design principals include large eaves and a shallow floor plate to eliminate direct sunlight in summer and allows it to penetrate two thirds of the way into the spaces in winter. 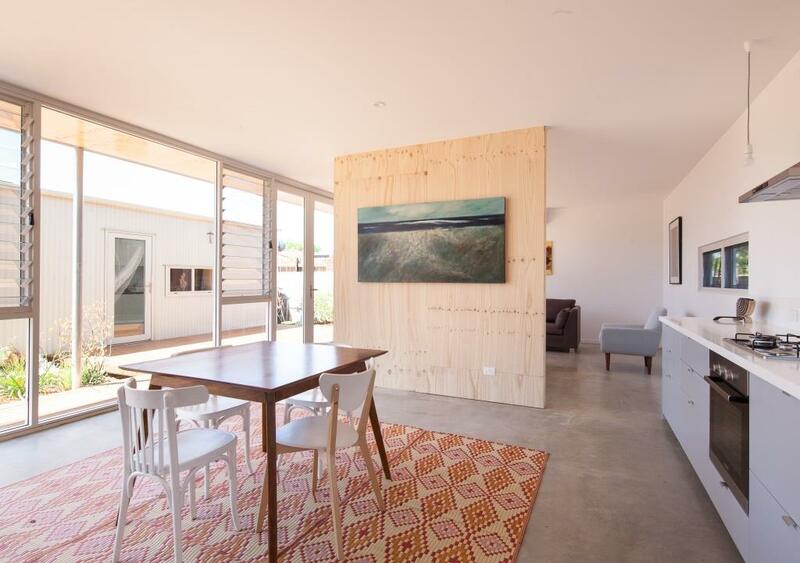 The concrete floor on the ground soaks up the heat and radiates it back throughout the day. Breezway Louvre Windows are placed strategically to scoop in the sea breezes and channel them across the house. With the large expanse of glass, it negates the need for artificial light and air conditioning during the day. In time, the building will probably have solar power, grey water and other more traditional green products installed but not many clients are willing to pay these capital costs up front. That is why the base building needed to have more inherent principles of sustainability. 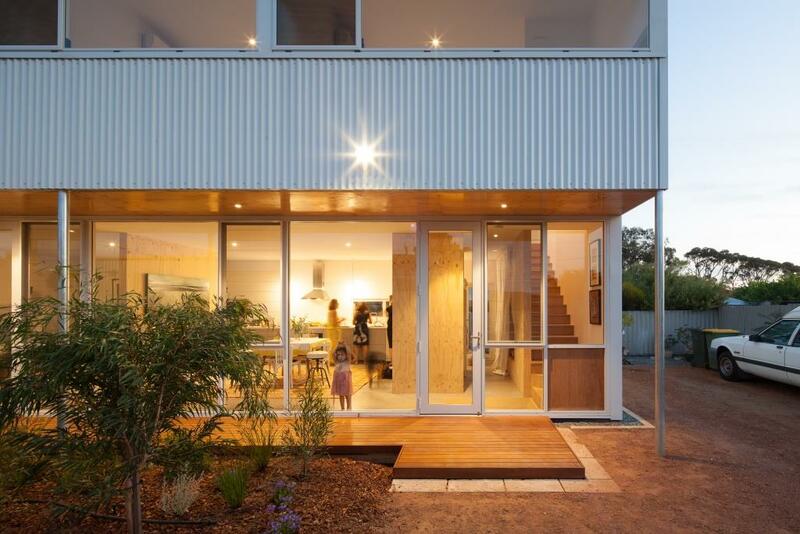 A building that is highly liveable, highly adaptable and affordable.